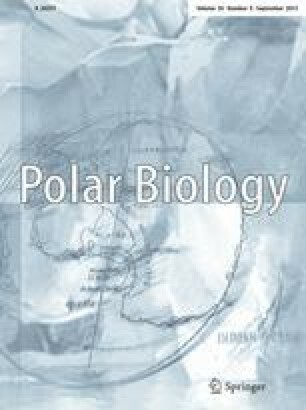 The abundance and distribution of nematodes, rotifers and tardigrades in samples from nunataks in continental Antarctica were investigated during four Antarctic expeditions in the austral summers of 1991/92, 1993/94, 1996/97 and 2001/02. Altogether 368 samples were collected from 14 nunataks and one oasis in East Antarctica. Nematodes were found in 35%, rotifers in 67% and tardigrades in 40% of all samples. Fifty-four microfaunal taxa were identified. Of these, 27 were nematodes, 8 tardigrades and 19 rotifers. The size and geographic location of the nunatak and oasis influenced the abundance and taxonomic composition of the microfauna. The highest abundance and diversity of nematodes were found on large nunataks close to the coast. Nematodes were not found on small inland nunataks. Very high population densities of tardigrades and rotifers were found on two small and isolated nunataks. No microfauna was found on the two southernmost nunataks (Okkenhaugrusta and Vardeklettane), or on the smallest one (Utsikta). The Sørensen’s Quotient of Similarity was generally low, especially between faunas on nunataks in different mountain ridges. The results indicate rather limited rates of dispersal and colonization between nunataks. We are grateful to the Swedish Polar Research Secretariat for providing transport and facilities for K. Ingemar Jönsson, who conducted the field sampling in Antarctica in 2001/02, to Cecilia Eriksson, who made the sampling in 1996/97 and to Göran Thor, who made the sampling in 1991/92. G. Thor also supplied information on vegetation. Kent Larsson is thanked for providing the map. The rotifers were identified by Angelica Hirschfelder. Ingegerd Sohlenius is thanked for technical assistance.